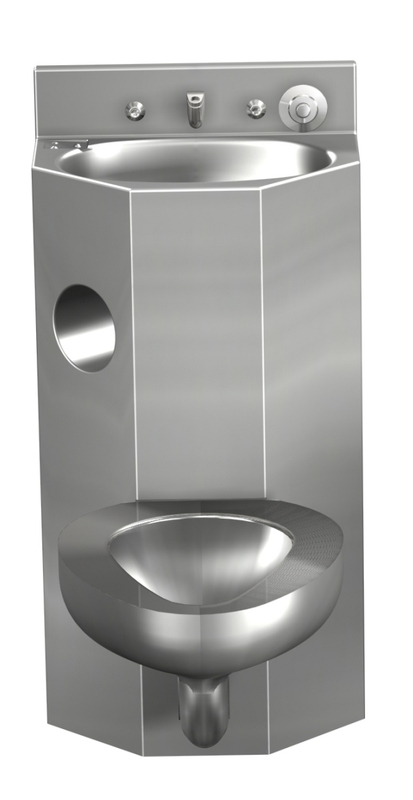 When facing a Lav-Toilet Comby, the toilet is centered on the front of the cabinet. This option provides a through the wall extension for units which have an elbow waste connection. 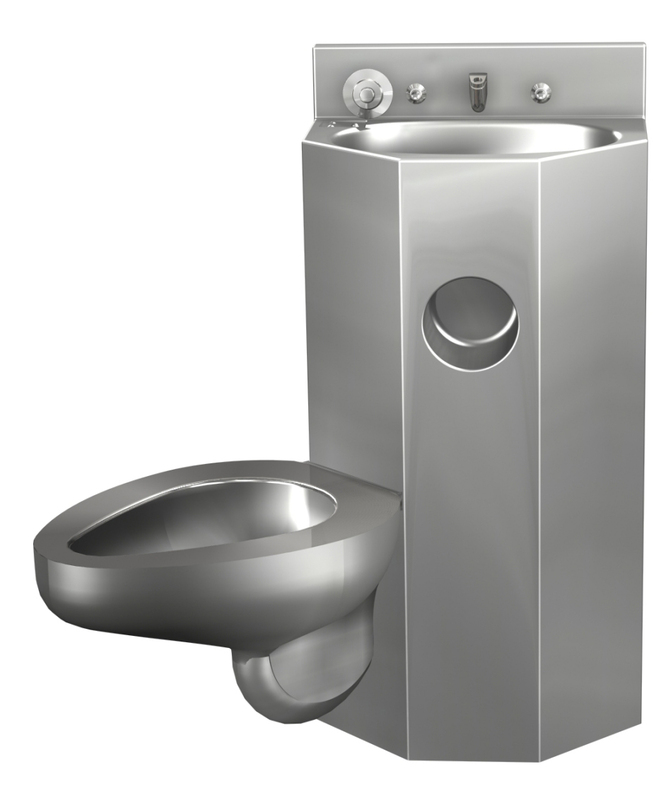 A P-trap is furnished which may also be used as a cleanout.